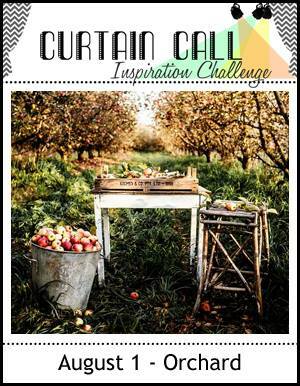 Thank you so much for joining us for the Curtain Call Inspiration Challenge - Orchard!
" I love Annie's mix of colors, polka dots and diagonal stripes behind the chunky apple and sentiment. The pop of blue in the heart is a great look!" 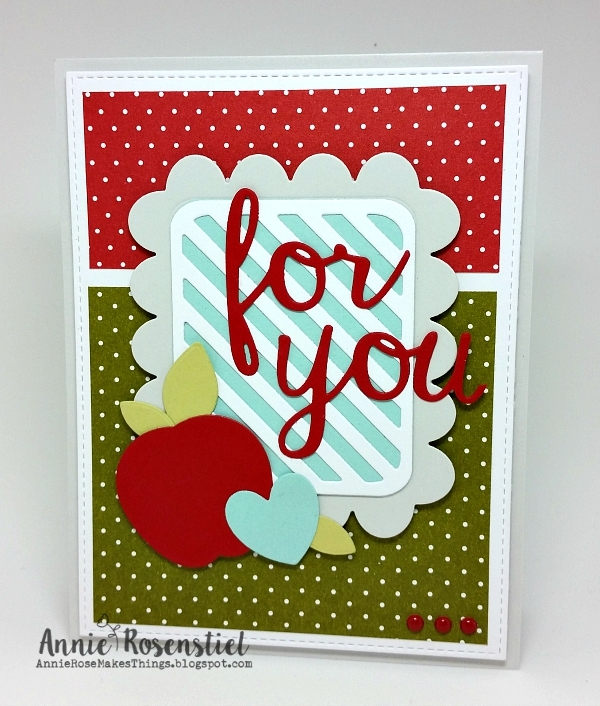 "I love Annie's bold use of colors, patterns, and design elements!" "Love the colour combination and her mix of dots and stripes. 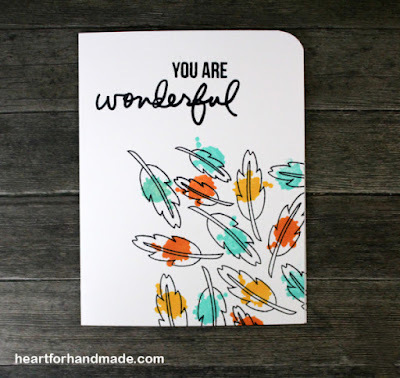 The die cut sentiment is such a nice touch." "I love Nancy's mix of pattern and white and how she added the leaves and apples under the tree." "I love Nancy's Fall scene. The leaves are so pretty and the random apples look perfect. Wonderful take on the inspiration photo." "I love Ria's one layer card. The sketchy feel of the leaves with the little pops of color to accent them really caught my eye." Congrats to the winners. Lovely projects. 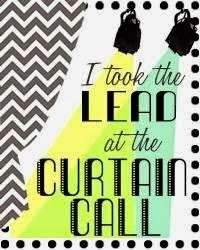 Oh my goodness, thank you so much for the Lead! 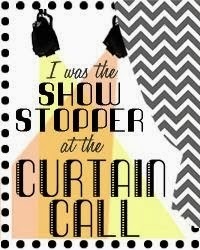 :) I loved everyone's creations.